If you love fall as much as I do, you will find yourself making anything apple, pumpkin, cinnamon and squash related. I can’t help it. It’s basically automatic as soon as that first chill of Autumn is felt in the air. 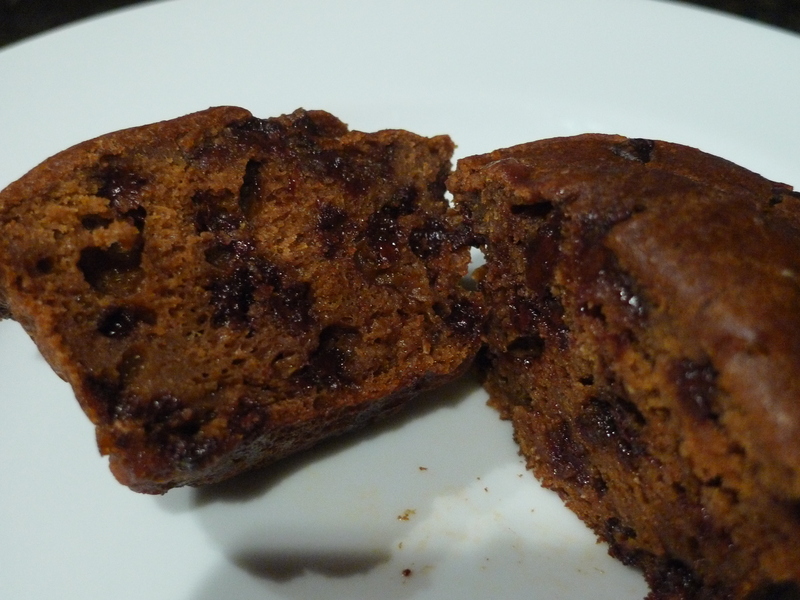 This pumpkin muffin recipe makes the most tender, moist and delicious muffins. I made pumpkin muffins before, but they more donut-y than muffin-like. 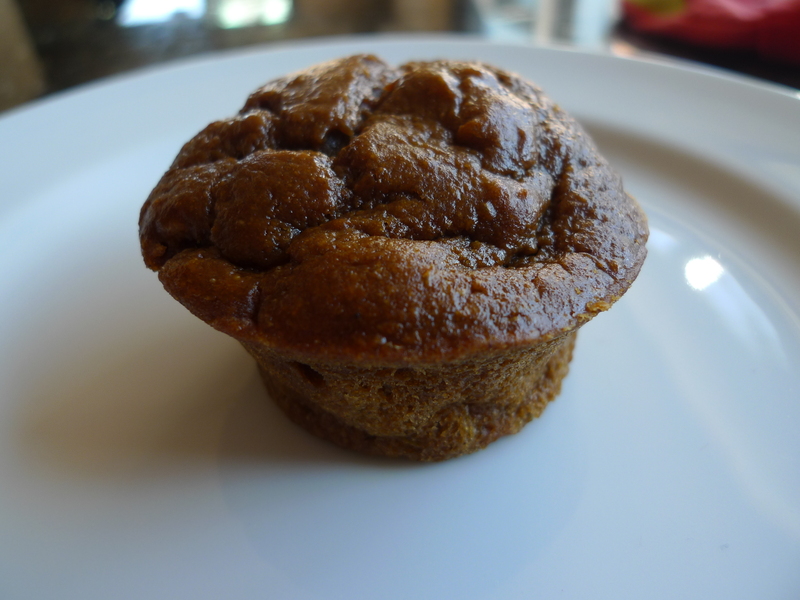 If you’re looking for a breakfast pumpkin muffin, this is it. Mini chocolate chips are better than regular chocolate chips. I don’t need to go into depth about this, they just are. I encourage those of you who bake often to keep whole wheat pastry flour in your pantry. It can be used in place of or with all-purpose flour, and you won’t be able to taste a difference, but you’ll be adding some whole wheat. I added some bran cereal as well because a little bran never hurt anybody. If you aren’t looking for a breakfast muffin, add a little cream cheese frosting (or just add it anyway…). With some pumpkin pie spice. And a cup of hot cider alongside. Preheat oven to 400 degrees. Coat a regular muffin tin with cooking spray. In a medium bowl, whisk together the all-purpose and whole wheat flours, baking soda, salt, cinnamon, ginger, cloves, and nutmeg. In a large bowl, whisk the sugar, molasses, oil and eggs until combined. Add the pumpkin and vanilla and whisk to combine. Stir in the flour mixture in 2 batches, alternating with the buttermilk. Add mini chocolate chips. Do not over mix, just make sure everything is incorporated. Spoon batter into the prepared muffin tin, filling each cup to almost the top. Bake for 20 to 25 minutes or until a cake tester comes out clean. Let cool on a wire rack for 15 minutes. Run a knife around the muffins to loosen them and remove from pan.